Indian state Odisha is adroitly known around the globe for its ministrations and hospitality, this beautiful Geo destination is a land of art, culture, tradition, nature and authentic peoples. The environment and surroundings of this glamorous place, the smooth peaceful lifestyle and the spiritual circumstances of this territory is really awesome. Majority population belongs to Hindu community and you can discern the influence in each part of this state. Everywhere you can able to find a Hindu Temple in almost all villages; temples are decorated with beautiful stone arts engraved on the inner and outer walls and the architectures are one of its kind. Shree Jagannath Temple Puri, Konark Sun Temple, Lingaraja Temple Bhubaneswar etc are some example of great temples culture of Odisha. Odisha is alternatively called as tourist heaven in all over the world because of the discoverable amazing tourist destinations of this pleasing land. Here the coastal area of almost 500 km and great rivers along with the dense forest filled with huge wildlife, waterfalls and other beautiful destinations bring into existence perfect circumstances for tourist. Thousands of tourists from different foreign countries Visit Odisha to explore the heavenly beauty of this land, most of the tourist comes from UK, USA, France, Italy, Spain and Middle East etc countries. Odisha Tourism development department a part of state government of Odisha provides very much importance towards tourism services and development of tourism in Odisha as its now days one of the major source of earning for thousands of peoples in this state, also with the more number of inflow of foreign tourist the reputation of the state and county increases. That’s why tour and travel service providers are strictly instructed to provide proper service to tourist especially foreign tourist and take care of tourist’s safety and all other requirements carefully during Odisha Tour Package. 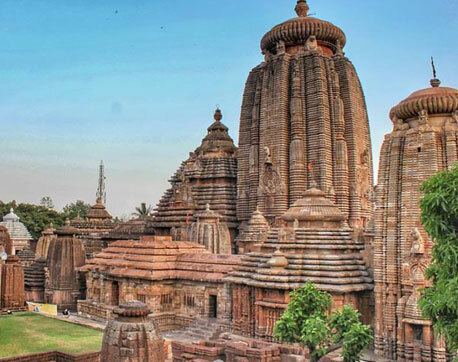 So tourist now days prefer to spend their holiday in Odisha with a complete Odisha holiday tour package in which they allowed to explore the charm of this beautiful land.